When I was researching asparagus I found that the Romans had a saying to express a task that was swiftly accomplished. “As quick cooking as asparagus.” Only a few minutes earlier I had been reading The While House Cookbook: a comprehensive cyclopedia of informations for the home. Two inches of advice to the homemakers of 1887, claiming to “represent the progress and present perfection of the culinary art...” One of its author’s appears to be a celebrity chef of the time. Having cooked for Napoleon in Africa, restaurants in Paris, New York, Chicago, and the White House. I have found treasures with these old forgotten books. This was not one of them. Culinary art in the Victorian United States felt asparagus should be boiled for at least 20 to 40 minutes. I imagined mush. I kept reading and the recipe suggested the cook “lift it out gently, as it will be liable to break.” I imagine that the nutritional profile which boasts one of the best sources of Folic Acid, along with significant amounts of potassium, fiber, vitamin B6, vitamins A and C, and thiamin landed in that cooking water. Good thing, they solved that problem a piece of toast is dipped in the “liquor”, and the asparagus laid on top. Definitely mush. Oh my, the Victorians may equally as shocked by not cooking it. 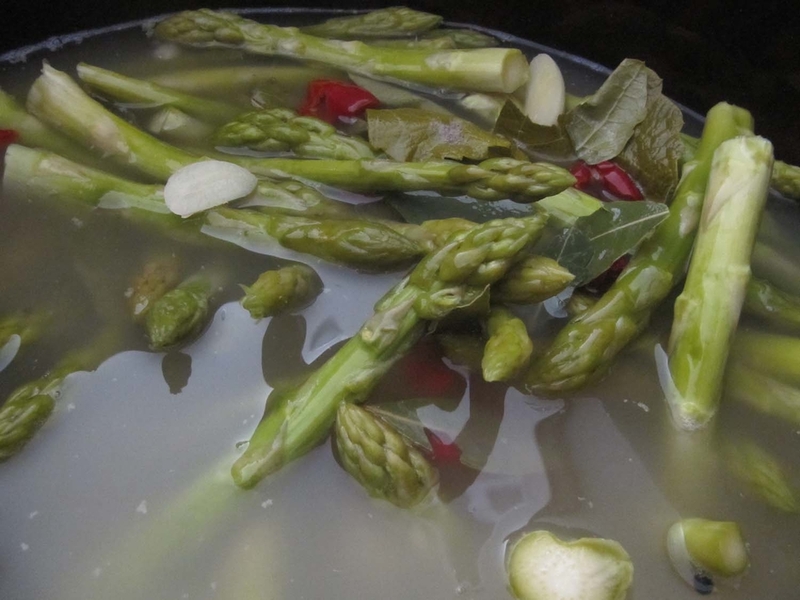 The Romans, on the other hand, whose royalty reputedly prized asparagus enough to keep a fleet to fetch it, may have been down with Asparagus Pickles...fermented and raw.